Small-group hiking tours in Prague and beyond. 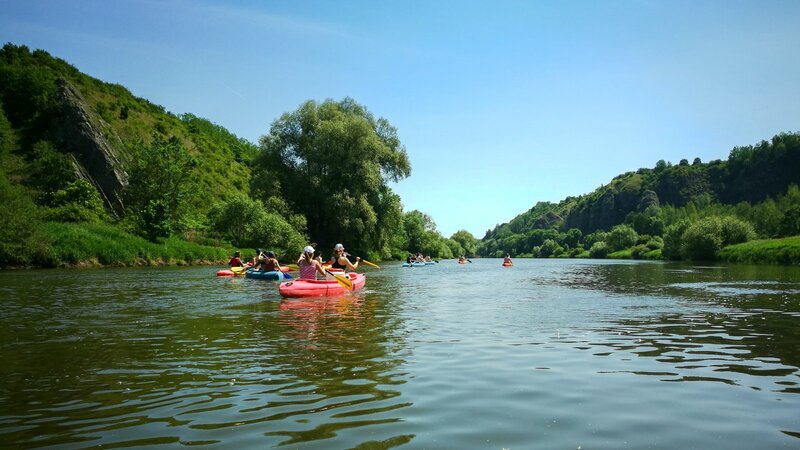 With Prague Day Trips you will experience the green side of Prague, places where locals go to recharge their batteries. Instead of crowded streets and kitsch shops you will enjoy natural reserves, woodlands and parks. You will be able to chill out and appreciate the Czech history and culture from a new point of view. We’ll take you to our favourite places and give you an insight into the life in the Czech Republic and all things Prague . We love our country and its history! Would you like to have your own custom made trip? Q: What mean of transport will we use? A: For all tours listed on our website we use public transport only – trains and buses or a combination of both. It enables us to create non-circular routes and thus see more, makes the tours cheaper for you and it is better for the environment. And besides, traveling by public transport in a foreign country is an experience in itself! Q: How long are we going to travel to the hike’s starting point? A: For the tours listed on our website the travel time is 30 – 60 minutes from the center of Prague. It may take longer for customized tours. Q: Are your trips suitable for families? A: Most definitely, they were all designed with children in mind! One of our tours is even doable with strollers! Q: Do you have children discount? A: Yes, of course. Children from 6 to 17 years get 50% off, children 0-5 years go free! Q: Do you have group tour discount? A: Yes, we do. Groups of four or more adults get 20% discount. Q: How should I dress for the tour? A:. The most important thing is to wear comfortable shoes suitable for hiking. In the winter season, take a hat, scarf and gloves – especially the lookout points can be pretty windy! No special gear is required. If you want to protect your knees we can lend you a pair of walking sticks. Q: What else do I need to bring with me? A: Take with you a camera and your smile  We’ll bring bottled water and snacks for you. A: Yes, of course. Use the Pay on PayPal option (you don't need to have a PayPal account to do that). Then, on the PayPal login screen, click on "Pay with Debit or Credit Card" button (it is below the login form) and the usual pay by card form opens up. That's it! A: We do not require any payments in advance. Just book your tour and we will reserve the date for you. We understand that plans do change, especially while traveling. If you change your mind, please let us know as soon as you can. Thank you! Q: Will you pick me up from my accommodation? A: For each tour there is a centrally located meeting point. However, if you (your group) is the only booking for the day, your guide will pick you up at your accommodation. This will be confirmed in the evening the day before your tour. Q: How large will be the group for my tour? A: It depends on the day. Maximum number of people in the group is eight. In winter months you will likely have a private tour. Q: Isn’t it too cold for hiking in the Czech Republic during winter? A: It is true that winter days in the Czech Republic are cold with daytime temperatures often falling below 0°C / 32°F so wearing warm clothes is essential. However, you will be rewarded by a very special experience. There is nothing like the tranquility of winter landscape, especially when it is covered by snow. And ending the hike in a warm, cosy restaurant feels great! Q: The place I want to visit the most is not listed on your website. Can you take me there anyway? A: Of course we can! Drop us an email and we will prepare a custom tour for you. Q: Will you be able to accommodate my dietary preferences (vegetarian, vegan, etc.)? A: Yes, this is not a problem, even though at some restaurants the choice of the dishes will be limited. Let us know when booking your trip!